A set of our optional grab bars enhance the styling and add functionality to any Hydro Systems bathtub. 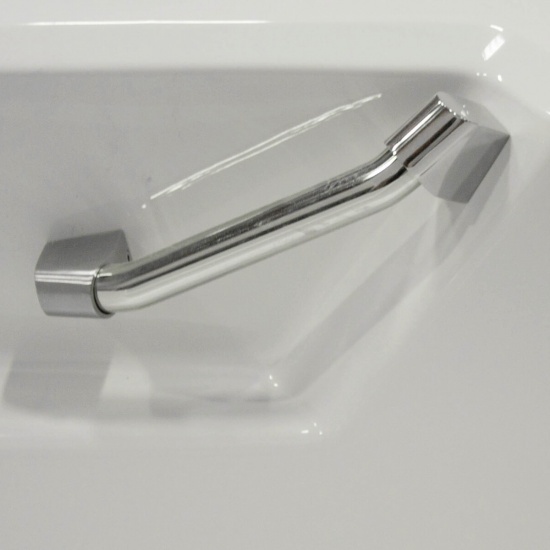 Due to mounting design and angles, this bar affords a mounting solution in virtually any position on any tub. There are two different length bars available – 5 3/4″ and 7 3/4″ – with the longer one working nicely on larger tubs. Designed to be mounted on most flat or curved surfaces, these grab bars are designed for quick removal and remounting. Available on most tubs in an array of finishes.